Voting is super hard. Here’s how we made it easier for our audience. No one votes in L.A.
Well, not exactly no one, but our region is known for some of the lowest voter turnouts in the state. In 2009, less than 18 percent of voters turned up for a citywide election. The numbers since have barely improved. Living in California has a lot of challenges: affordable housing, traffic and pollution, to name a few. You’d think people would be motivated to elect politicians who’ll help solve those problems. So why don’t more people here vote? Turns out many people find voting hard. How do we know? We asked our audience. In 2015, we assigned Mary Plummer to cover politics for KPCC. Her supervisors gave her a long list of topics to cover, everything from Los Angeles City Hall and county politics, to campaign finance and voting reform efforts. Mary took on that charge and ran with it. As the presidential election approached in 2016, she began connecting with community members to find out which topics resonated the most with voters. 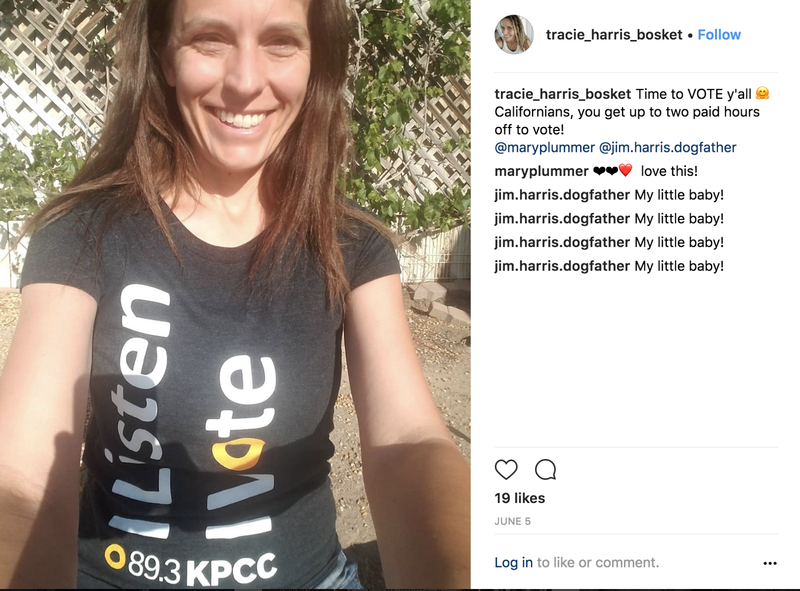 She was dispatched to cover local events; with help from KPCC staff, she hosted a lunch for residents to hear their concerns; and she and a small KPCC team set up listening booths at a locally owned restaurant in Watts and a swap meet in Santa Clarita. What she heard gave her pause. Residents said they felt elections were something that happened to them, not something they could easily take part in. When she asked what issues mattered to them, their lists were long: housing prices, dirty streets, improving local schools, potholes, homeless residents in their neighborhoods. But when she asked about elected officials, whether people vote in local elections, what contact people had with their city council or state assembly members, she got a lot of blank stares. The community members Mary talked with described the democratic process as removed from their daily lives — like a buzzing white noise that occasionally pierced through to a light scream, making them feel guilty and burdened. Some said they felt left behind. Asking them to weigh in on City Hall or the board of supervisors was, in some ways, like starting mid-game, without explaining the rules. They had basic questions: When was the election? How would they know whether they were registered to vote? What if their bosses wouldn’t allow them to vote? Mary sensed an opportunity. Was there a service KPCC could provide that would help voters bridge the gap between them and the system? Could we help them feel like the election was an opportunity instead of a burden? Enter the human voter guide project. The project took shape on the radio and online in the simple form of questions and answers. The goal was to help Southern California residents navigate elections and voting through personalized research. Mary started collecting questions and answering them one by one. Sometimes the question was simple and could be answered right away: What’s the deadline for postmarking my vote by mail ballot? Answer: Election Day. Sometimes the answer required leveraging government sources and days of reporting to get clarity. Mary helped solve voter registration problems, answered questions about damaged vote-by-mail ballots (toddlers, we learned, can do a lot of damage with crayons!) and helped people figure out how to vote while out of state. The community responded enthusiastically, thanking her for taking the time to find answers. As the question volume expanded, she started extending her reach. Weekly radio segments leading up to Election Day answered questions live on the air, and highlighted a Google Voice phone number that people could call or text with questions. On Election Day 2016, Mary and two assistants fielded dozens of questions throughout the day. They came via phone, email and social media. The team worked tirelessly to make sure the information provided was accurate and meaningful. We basically created the voter’s version of the Butterball Turkey Hotline. This year, we took the human voter guide approach to the next level. Working closely with director of community engagement Ashley Alvarado, senior editor Sandra Oshiro and audience engagement associate editor Brianna Lee, Mary expanded her service. A task force of KPCC staffers set out to streamline the web presence of the project, consolidating answers to top questions in one digital post. The web-based engagement platform Hearken and the text-messaging engagement service GroundSource became key partners — their tools allowed Mary to track a larger volume of questions and offer a brand new service run by Ashley: texting election-related reminders. In addition, training and involvement of assistant staff expanded. Assistant producer Caitlin Plummer and Caitlin Biljan spent several days mastering the minute details of Orange County and Los Angeles County election rules, which enabled them to swiftly and accurately answer community questions on election day. Efforts resulted in a five-fold increase in the number of questions we got, and helped us break news. Example: A major problem on Election Day resulted in a printing error that left about 118,000 names off of L.A. County rosters. 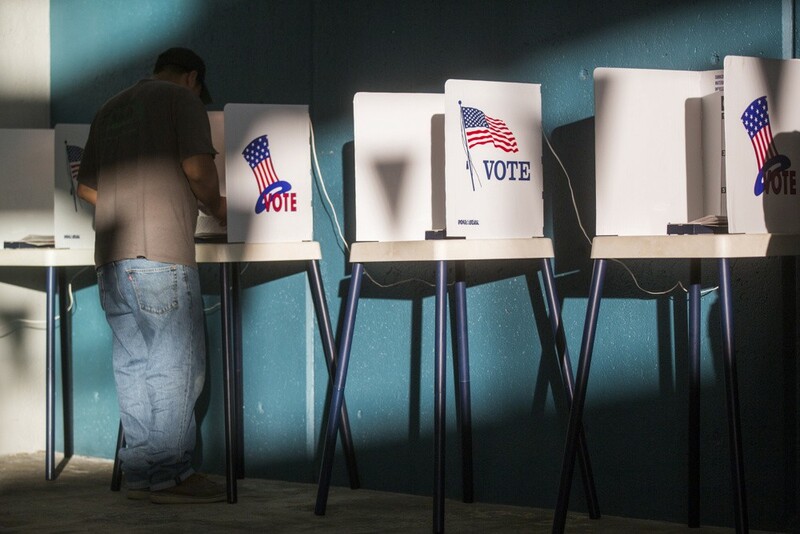 A community member contacted the human voter guide to tell KPCC about the problem. That phone call alerted us to the issue more than six hours before the county issued an official response. Thanks to our listeners, during that time we were able to alert others of the issue and question election officials about the problem on-air. To all of this, community members responded enthusiastically. One even offered to volunteer to help us answer questions ahead of the general election in November. Right about now you may be thinking: How does this scale? Answer: We’re not sure. We know that we have found a need and have some capacity to fill it. We are actively looking for ways to improve and expand the service. We are surveying users of the human voter guide to tell us how we can make the experience better, and we are gathering metrics to help us understand more about reaching out to Southern Californians. Mary has also suggested that we can, beyond clearing away confusion over voting, help residents understand how they can connect with local government to get their daily problems solved, whether that’s getting a sidewalk fixed or a city tree trimmed. At a time when trust in democratic institutions is eroding, we need all hands on deck in order to facilitate civic engagement. If you have suggestions as to how we can improve our work, or you’re interested in trying this in your own community, let us know. If you’d like to keep track of this experiment, follow us on the Twitters @MaryPlummer @Ashley Alvarado @KrisMul or reach out via email, mplummer@kpcc.org or aalvarado@kpcc.org.